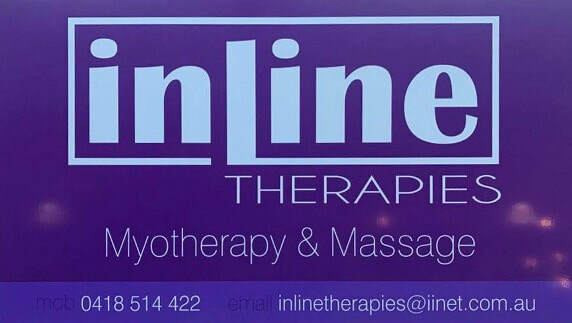 Inline Therapies is a health based business that has been active in the local area for 18 years (est. 2000). We love what we do. As Myotherapists and Remedial Therapists, we have the opportunity to work with everyday people to achieve the most out of your bodies. We aim for maximum performance and functionality, whether it be walking up a few steps or running a marathon. We focus on postural balancing to achieve this and hope to educate you about your body. The clinic incorporates Myotherapy/ Remedial therapy with Kinetic link training. This enables us to treat your muscle restrictions through therapy, and compliment this with strengthening the weak muscles with exercises giving you the best results. Having your therapist work with you through the whole process.